Heroic, Optimistic, Passionate and Empowered. These descriptors - among many others - are the weapons of those who fight cancer and support others in their fight. We created this band to help raise money for LUNGevity, the nation's leading lung cancer-focused nonprofit after a close friend of ours was diagnosed with lung cancer. Lungevity changes outcomes for people with lung cancer through research, education, and support. 30% of the proceeds from each band goes to the ALK+ research fund. Scroll down to read stories about the lung cancer community and to find helpful information about lung cancer and Alk+ lung cancer. Click the image above to read the multiple blogs on the Lungevity website that share perspectives on living with cancer, lung cancer research and provide messages of love. Click the image above to read Andy's story about his ALK+ diagnosis, the stereotypes of lung cancer and becoming your own best advocate. 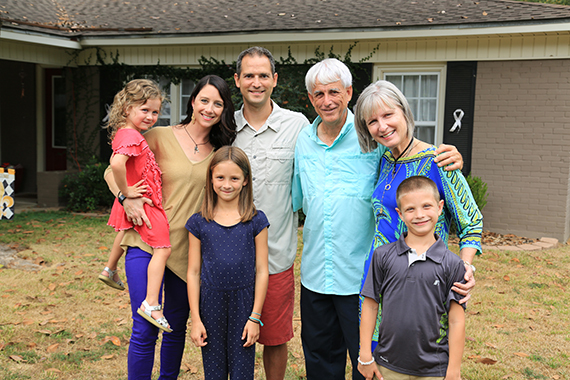 Click the image to read Gina Hollenbeck's Stage IV Lung Cancer Story. You will hear her talk about Gina's Army and the power of courage, peace and grace when you are in death's shadow. Click the image above to read Amanda's story of diagnosis and encouragement. Amanda and her family inspired us to help raise money for lung cancer research. I am sure she will inspire you. Click the image above to read Denise's lung cancer survivor story. Her story is an inspritation to Never Give Up! LUNGevity Foundation: This is an amazing group committed to helping change outcomes for people with lung cancer. LUNGevity ALK+ research fund: This is the place to donate money to alk+ research. Alk Positive.org: Go here to learn more about the alk support group. 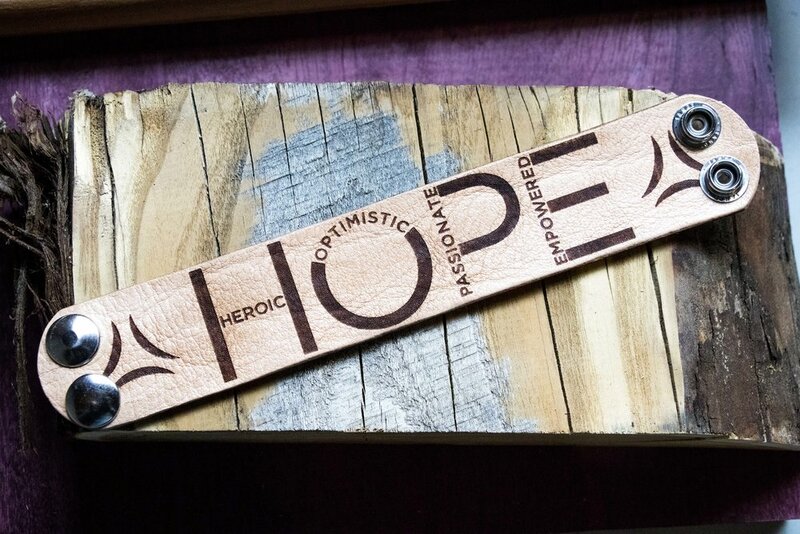 Help support lung cancer research by purchasing one of our HOPE storybands. 30% of the proceeds from the bands go to the alk+ research fund. HOPE Storyband, Leather. Click image to buy.